If you are looking for a new mystery series, please check out my Endurance Mysteries. Five Star Publishing/Cengage has published the first two books in the series, and I published a novella as an e-book only on Amazon. Let me clue you in on some “insider information.” Each of the novels has a title that come from Ben Franklin’s Poor Richard’s Almanac. The last word in each of the novels is “Endurance.” Finally, my three children gave me a word to use in each of these books, hoping to stump me. Hasn’t happened yet. Even “helicopter” fits in. Endurance is a small town with a history going back to the 1830s, when settlers came to downstate Illinois to found towns and colleges on the edge of the prairie. In our time, the town has a population of 15,000 and places with such names as Patsy’s Pub, the Coffee Bean, the Penny Saved Shoe Store, Shady Meadows Cemetery, and the Homestretch Funeral Home (my personal favorite.) It’s a nice town, you know what I mean … as long as you don’t mind a murder or two. The main character is Grace Kimball, widow and mother of three adult children. She is 57 and has just retired from teaching at Endurance High School. This means she sees former students all the time, and the reader gets to hear the crazy antics she remembers about their high school years. Grace has a circle of female friends, but her best friend is Detective TJ Sweeney. Some might say theirs is an improbable friendship, since Grace grew up in a white bread Indianapolis home, and TJ is an intelligent biracial woman who is the product of a broken home. Grace taught TJ and mentored her through high school and college. They are loyal to the end and have each other’s backs, which is a good thing. Grace gets herself into all kinds of trouble because of her curiosity. Into this relationship comes a mystery man, the 62-year-old Jeff Maitlin, who was a big deal in the NYC journalism community. He has decided to end his career by working part-time with a small-town newspaper, the Endurance Register. Maitlin is a mystery man because no one knows why he came to such a small place or what his past has been. In the first book, Three May Keep a Secret, we meet Grace and discover she is haunted by a tragedy in her past that she has never been able to put behind her. When shoddy journalist, Brenda Norris, is murdered in a suspicious fire, Grace is hired by the newspaper editor, Jeff Maitlin, to fill in for Brenda, researching the town’s history for a big centennial. Unfortunately, that past hides dark secrets. When yet a second murder occurs, Grace’s friend, TJ Sweeney, homicide detective, races against time to find a killer. Even Grace’s life will be threatened by her worse nightmare. Against the backdrop of the town’s 175th founder’s celebration, Grace and Jeff find an undeniable attraction for each other. But can she trust this mystery man? I was told by my publisher that it would be a loooong two-year break between the first and second books. 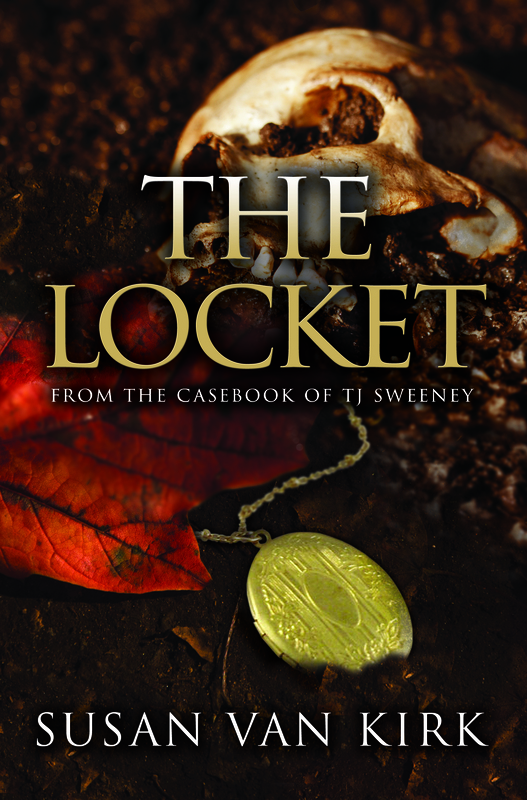 So, I self-published a novella about my complicated police detective, TJ Sweeney, called The Locket: From the Casebook of TJ Sweeney. It is an e-book and takes us back to the 1940s. A body is discovered when workers are digging the foundation for a new building. TJ Sweeney must identify the victim and figure out what happened to her. Obviously, we had no DNA in the 1940s, so this will be difficult. We also learn about Sweeney’s past and her complicated feelings about her Caucasian father, who left when she was little. Her mother, a proud African American woman, tells TJ about what it was like to be in a mixed marriage in the 1940s. The victim was last seen at a big band venue called The Roof Garden, and TJ has an amazing conversation with an elderly woman who explains what it was like back then when she danced at The Roof Garden in the 30s. Dead ends, difficulties, and amazing finds … and then, for TJ Sweeney, this case becomes personal. The second novel, Marry in Haste, is the story of two women, a century apart, living in the small town of Endurance, and both ignoring Ben Franklin’s “Marry in Haste, Repent at Leisure.” A huge Victorian house is the setting for much of this novel, and in the house Grace finds a hidden diary from 1893. It reveals the bittersweet story of Olivia Havelock, who came to Endurance and married a powerful, but abusive, judge. In the present day, Grace’s former student, Emily Folger, is accused of murdering her philandering, abusive husband. Grace sets out to prove Emily’s innocence, working with TJ Sweeney. Can the lessons from the diary help her save Emily Folger? This second full-length novel just came out November 16. The third book will be out next year, and it is called Death Takes No Bribes. Grace goes back to her old high school, where she taught for almost three decades, when the principal is murdered in a horrific way. 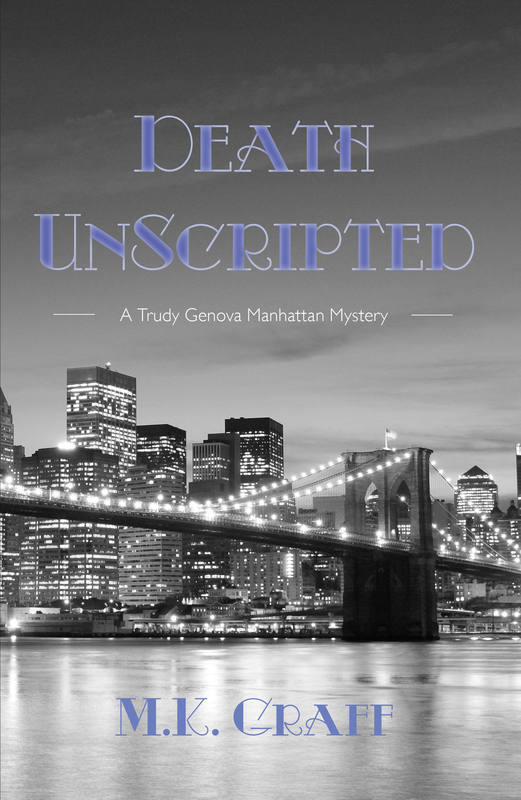 It’s a sentimental journey for Grace, who retired a year ago, and now she walks among her old colleagues wondering if one of them could be capable of murder. Each mystery has a universal theme, and at the heart of the series is the resilience of women and how they support each other. They celebrate family, loyalty, and, often, social issues. History and romance twine their way through each book. So, I hope you’ll consider trying my Endurance Mysteries. 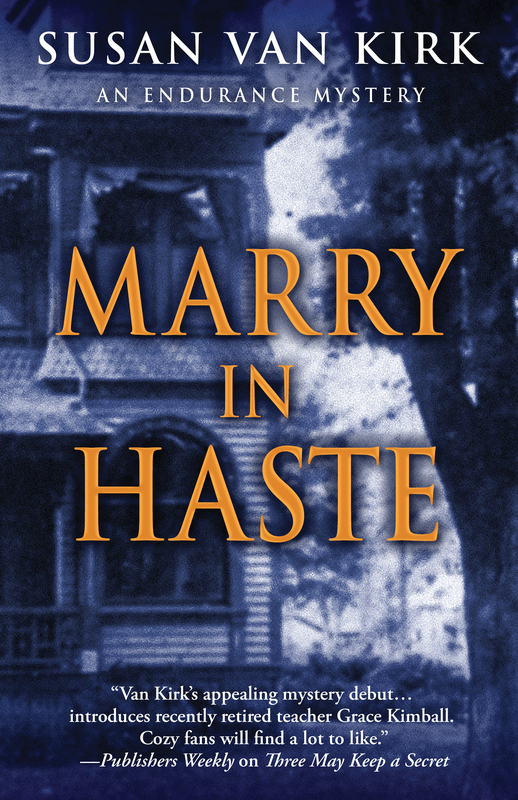 Right now, I have a giveaway going on GoodReads for Marry in Haste that lasts until midnight on November 21. 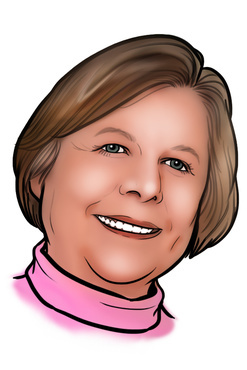 Susan Van Kirk grew up in Galesburg, Illinois, and received degrees from Knox College and the University of Illinois. She taught high school English for thirty-four years, then spent an additional ten years teaching at Monmouth College. 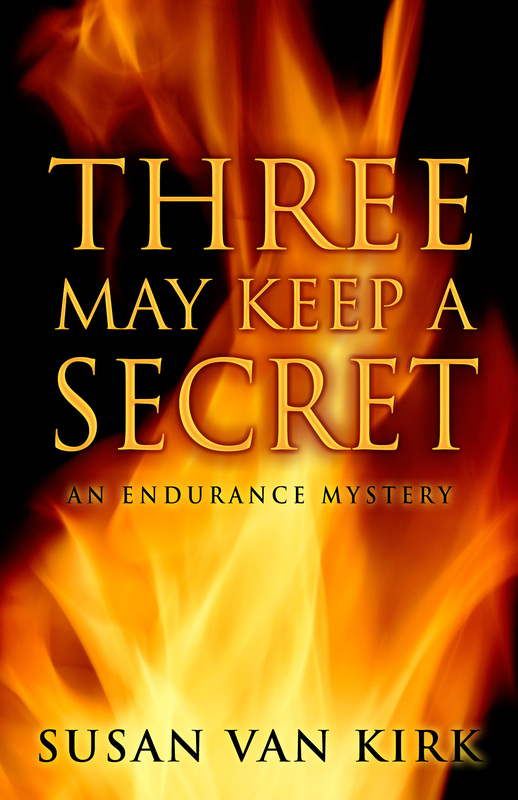 Her first Endurance mystery novel, Three May Keep a Secret, was published in 2014 by Five Star Publishing/Cengage. In April, 2016, she published an Endurance e-book novella titled The Locket: From the Casebook of TJ Sweeney. Her third Endurance novel, Death Takes No Bribes, will follow Marry in Haste. One of Auntie M’s favorite novels last year was Jeannette DeBeauvoir’s debut Asylum, a chilling and often terrifying mystery that introduced Martine LeDuc, the engaging protagonist who is publicity director for the city of Montreal. Auntie M: You have developed a backdoor to these crime investigations for your protagonist, PR director Martine LeDuc. What made you choose her position and that approach? Jeannette de Beauvoir: I was looking for someone whose work would, first of all, allow access to a range of different situations, and secondly, be flexible in terms of how the protagonist spent her time. Public relations could arguably have its hand in a lot of different problems, and the person at the top of the department can come and go with staff to cover day-to-day operations if she needs to be elsewhere. AM: Everyone’s family has a story, and Martine’s home life is grounding, yet it feels very realistic. How important do you feel it is for readers to see that there are other forces pulling at her that require her attention? JDB: It’s truly about making her a whole person. We’re all made up of mosaics, aren’t we—no one is *only* their job, or *only* their family life, or *only* anything… so it is always important to me to give characters a backstory and a personal life. Doing that offers so many opportunities, especially for a series such as this one, for the character to grow and change, to make mistakes and learn from them… in other words, to develop fully as a human being. The Martine of Deadly Jewels is different from the Martine of Asylum, and will be different from the Martine of the next book should there be one. If the books were *just* about the mysteries, I think they’d be a lot less interesting. AM: After growing up in Angers, France, you now divide your time between Montreal and Cape Cod. Do you see a difference between the Canadian mind and the American mind when it comes to readers of crime novels and their questions for you? Between the French and the American? JDB: I’m half-French and half-American, and I often think that if I were a city, I’d be Montréal… with part of me reflecting each culture. But we’re really talking about three different cultures, and three different ways of approaching literature. Readers from the U.S. tend to want to be plunged directly into the story, whereas French readers are looking for more depth—more philosophy, if that makes sense. Neither book has been translated (yet) so it would be interesting to see people’s reactions to them. AM: A consistent thread is Martine’s love of Montreal, and a highlight for me as a reader is exploring the city through her eyes. The research you’ve done for both Asylum, a first-rate novel, and Deadly Jewels, another winner, adds so many layers to the books. Have you found it easy to obtain access to what might otherwise be off-limits areas for these projects? I’ve found assuring a contact’s name will appear in the Acknowledgments is often a great enticement. Have you had a similar response to your requests? JDB: I have found people to be amazingly generous with their time and expertise in every project I’ve undertaken. I’ve asked difficult questions and I have never had anyone refuse to help. And people really are the best resource. One of the classes I teach online is writing historical fiction, and I tell students two things: do your research before you talk to people (so that you are suitably immersed in the subject and you don’t ask the questions whose answers you could have Googled), but then find the experts and ask them. Someone who has lived through an era can give so much more information than just reading secondary sources about it. And the same goes for mystery writing: find the experts, be respectful of their time, and you will be astonished at the results. AM: Your background includes poetry and plays. What made you decide to write a crime series? JDB: Ah, the poetry and plays are pretty much accidents: I’m really a novelist. I wrote historical fiction for quite a while but realized at some point that what I love to read most is mystery fiction, and I wasn’t writing it—there was a disconnect there. So I co-authored my first mystery novel (mostly because I didn’t think I was terribly good at plots! ), got braver and wrote one on my own, then finally discovered what works for me: combining mystery and historical fiction. Not in the same way that an Ellis Peters does, with a character in the past solving a crime from the past—but rather with someone in the present-day finding that the past doesn’t in fact really go away. I think it makes for good storytelling and has the added advantage of teaching a little history as well. AM: When you have precious down time, whose books would readers find waiting to be read on your nightstand? Phil Rickman: he’s a brilliant writer, his stories are intricately plotted, his characters are haunting, and he’s just spooky enough to keep your heart rate up. 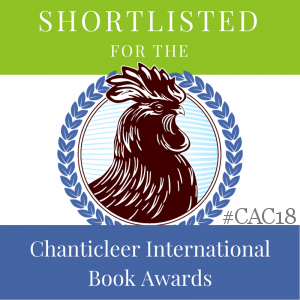 He writes a series about a female Anglican priest who’s also an exorcist, but also has wonderful standalone books that borrow characters from the series, so that you can follow them from book to book. 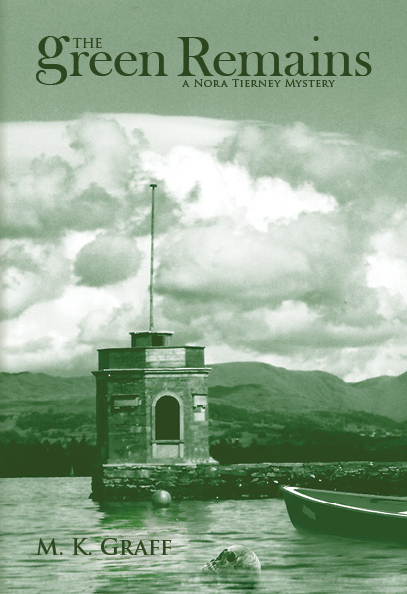 He is one of the authors I admire most for making the *geography* as much a character as the people: he writes about the border between England and Wales and makes the liminality of such a place intrinsic to the plot. 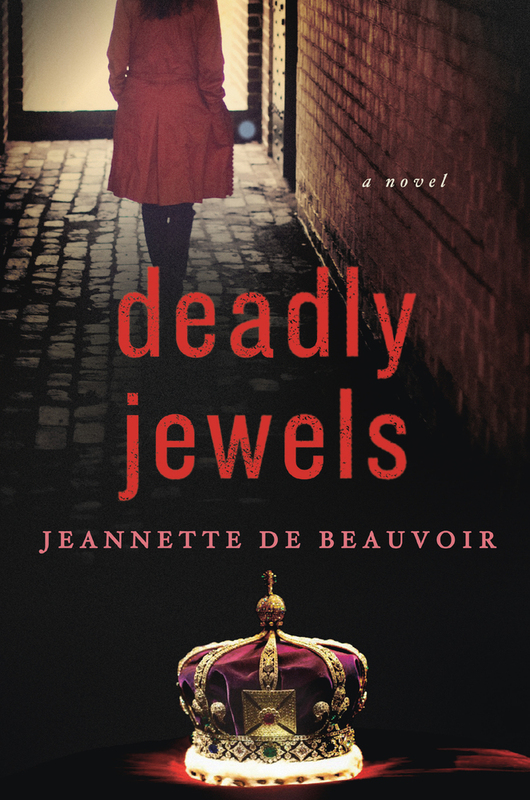 De Beauvoir’s sequel brings Martine LeDub back for another adventure that has the same chilling suspense as her first, yet manages to be a different book entirely. It still pivots on moral questions, and she shows her love for the city in its exploration by the main characters as they try to stop what amounts to a cult operation from decades ago that has reached fingers into present day Montreal. Martine has a mutual dislike relationship with the Mayor who serves as her boss. But this time when she’s called to his office, it’s not to be rebuked, but to be introduced to an graduate student who just may have pulled off a PR coup: she’s found proof that long-held rumors are true and that proof has been found during underground excavations taking place under the city. The British crown jewels were once housed there in Montreal during WWII and then returned to London. It promises to be a grand revelation for all, until Martine accompanies Patricia Mason to the excavation site. Sure, they do find several diamonds, left behind from the original cache. But they also find the skeleton of man shot execution-style decided ago. It appears he swallowed these remaining jewels. Now it’s a job of containment, as Martine and her colleagues in several places determine how to handle the scandal. And this won’t be great PR for Montreal or for her job. But then Mason is shot, and she turns to her detective friend from the first book, Julian Fletcher, to help her out with the cold case. And just as things heat up, her stepchildren arrive for a visit and her husband disappears that same weekend to have a meeting with his ex-wife. There will be several twists and turns along the way as the case unravels, with surprising results. Along the way, Martine will be introduced to and interview Nazi survivors and their families, and those trying to resurrect that regime in a startling way. As the action heats up, it’s not just Martine who will find herself in jeopardy. One of the things that set this apart from the usual series is the way De Beauvoir skillfully weaves the modern with the historical. Flashbacks to two key characters explain the historic journey of the jewels and the men involved with them and add substance and key clues to the action. You’ll understand the meaning of that line once you read this fine mystery that evaluates many sides of a situation. Highly recommended. When my first mystery, Skeleton in a Dead Space, came out five years ago, a mystery reviewer gave it a strong review, to my delight. Six months later when the second one came out, I sent it to him with optimism only to have him pan it and write me requesting that I send no future books. It seems his problem was that my heroine was too passive, didn’t initiate action, didn’t rise to the position of heroically taking action and thereby solving the murders of old women in her neighborhood (No Neighborhood for Old Women). Since Kelly O’Connell was the same person in each book and since she did unravel the mystery, reveal the killer, and nearly lose her life in the process, I disagreed with his assessment. Maybe it just caught him on a bad day? Maybe it was a gender thing? 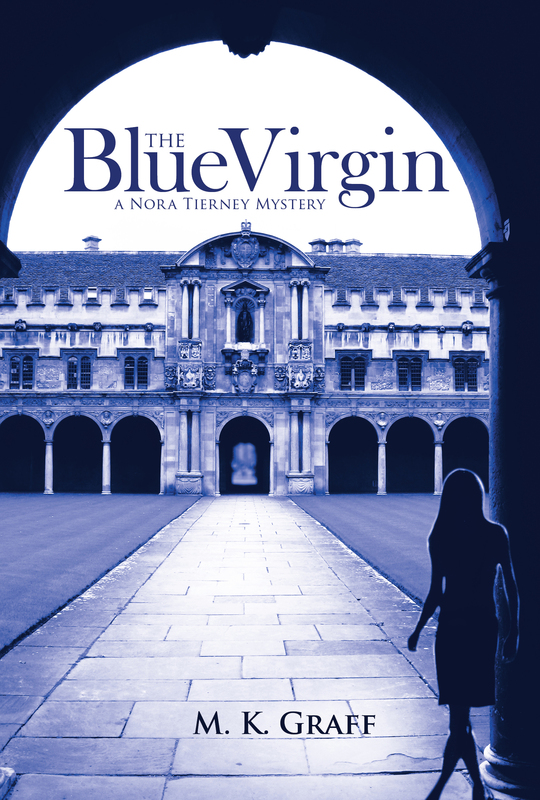 At any rate, I’ve never sent him any of the seven mysteries I’ve since published in two series—Kelly O’Connell Mysteries and Blue Plate Café plus the so-far stand-alone, The Perfect Coed. But that criticism has lingered in my mind because it poses a dilemma. 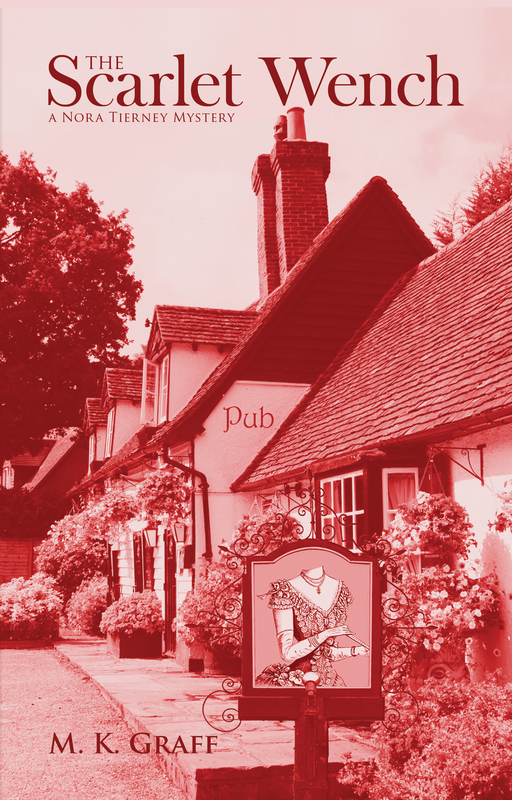 Traditionally, the cozy heroine is an amateur sleuth, usually involved in some other calling—mine are a realtor/renovation expert and a café owner, but caterers and craft shop owners abound along with dozens of other callings. How tough are these women supposed to be? For thrillers, the answer is clear. The female is often conditioned by training, experience or both to risk and danger. But what about Kelly O’Connell, a single mother of two daughters who spends her days looking for Craftsman houses to renovate in an inner city neighborhood? Like most of us in our daily lives, she has never been exposed to crime, violence, and danger. Yet once she becomes involved in murders, she fights (literally and physically) for her life, dodges bullets, rescues kidnap victims—all because circumstances force her to. Should we expect her to become an instant Superwoman? I think not. Besides, her boyfriend/husband Police Officer Mike Shandy keeps telling her to stay out of police business. . .
And that brings up the second dilemma—why is she involved anyway? Does the cozy heroine say to herself, “Oh, good—a murder. I can solve it.”? Again, I think not. She has to have a valid reason for involvement—sometimes, for Kelly, it’s a threat to her daughters, or an abused child, or the “accidental” death of an elderly neighbor that turns out to be homicide. Sometimes it’s a desire to preserve and protect her beloved historical neighborhood in Fort Worth. So how tough is your heroine? And how is she drawn into sleuthing? Sure, mysteries, like much literature, require the “willing suspension of disbelief,” but at the same time they have to be real to a certain extent. The cozy authors I admire—and they are many—have a firm hand on their fictional world and a clear understanding of their characters’ strengths, weakness, and motivation. It’s not just a walk in the park. 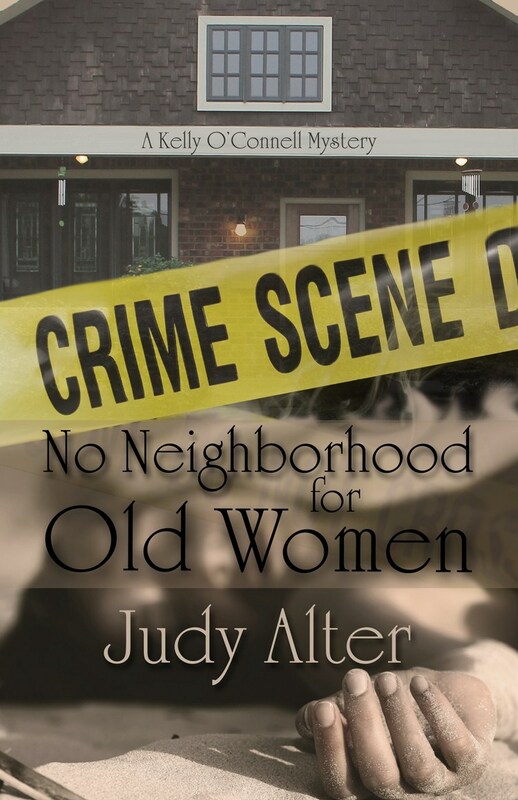 An award-winning novelist, Judy Alter is the author of six books in the Kelly O’Connell Mystery series: Skeleton in a Dead Space, No Neighborhood for Old Women, Trouble in a Big Box, Danger Comes Home, Deception in Strange Places, and Desperate for Death. She also writes the Blue Plate Café Mysteries:Murder at the Blue Plate Café, Murder at the Tremont House and the current Murder at Peacock Mansion. Finally, with 2014’s The Perfect Coed, she introduced the Oak Grove Mysteries. Her work has been recognized with awards from the Western Writers of America, the Texas Institute of Letters, and the National Cowboy Museum and Hall of Fame. She has been honored with the Owen Wister Award for Lifetime Achievement by WWA and inducted into the Texas Literary Hall of Fame and the WWA Hall of Fame. Judy is retired as director of TCU Press, the mother of four grown children and the grandmother of seven. She and her dog, Sophie, live in Fort Worth, Texas. Auntie M is enjoying the Bouchercon Mystery Convention in Albany, participating in a panel discussion on amateur sleuths and conducting several interviews she’ll share this fall. I love working in the genre of cozy mysteries, with their small communities, quirky characters, and murders that happen offstage. I’m happy to leave the darker stuff to those who do it well. 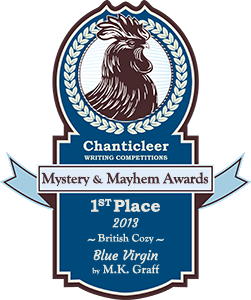 But while my passion for mysteries has its roots in the work of Agatha Christie and Dorothy Sayers, it was also fed by a more gruesome source—a real life 19th century murder. 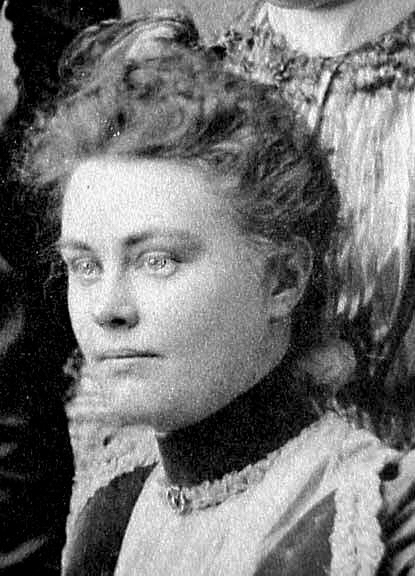 For me, it all started with Lizzie Borden, a figure who besides Nancy Drew is probably responsible for the careers of many a mystery writer. By the time I was fourteen, however, I’d outgrown Nancy, and my aunt was reading a book about Borden. It may well have been Edward Radin’s book, Lizzie Borden: The Untold Story, a work that posited Lizzie’s innocence. Once I opened it, I was hooked. Everything from the ghastly murder scene photos to the days-old mutton that the parsimonious Mr. Borden insisted serving the family caught my imagination, not to mention the unanswerable questions. Why did Lizzie reportedly buy poison the day before the murder? Why did she burn a blue corduroy dress in the kitchen stove? What of the mysterious houseguest, John Morse? And Bridget Sullivan, the maid who was none too fond of the Bordens—might she have served as Lizzie’s accomplice? Or was that role played by Lizzie’s sister Emma? After that book, many others about Lizzie followed, and it was impossible not to get pulled into the repressive and stultifying world that she inhabited. It was easy to imagine the locked house, the oppressive August heat, and one too many dinners of leftover mutton. Lizzie lived in a family and community whose strictures regarding women bound her as tightly as her corset and many layers of clothing. Her father, a man typical of his era, was a rigid patriarch who brooked no opposition. Lizzie had lost her mother at a young age, and she made no bones about her antipathy toward her stepmother Abigail, not exactly a warm and fuzzy type. Despite a life of physical comforts, Lizzie must have felt very much like a prisoner in Andrew Borden’s house. A year before the murder, the Borden house was robbed of cash and jewels, with Lizzie the prime suspect. Was it a play for attention? An indication of the greed that might have been behind the murder of Abigail and James Borden? Or simply a way to have some income of her own? 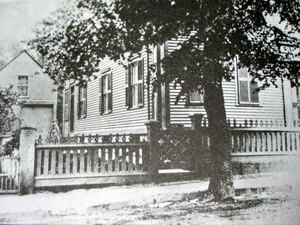 Photos of Lizzie Borden depict a face nearly devoid of expression. But there is an eerie, otherworldly light in those pale eyes. Behind those unsettling eyes and attractive but blank face, was there a seething anger that manifested itself in a bloody act of violence? A reading of the bald facts of the case points to Lizzie’s guilt; my own instincts tell me that her rage finally erupted that day, in the most terrible way imaginable. So why am I on her side? And I know I’m not alone. A quick search of Lizzie’s name will garner a number of websites devoted to the murder, and an even greater number of fans devoted to Borden herself. We’re secretly glad that Lizzie was acquitted, that she and her sister inherited her father’s large estate and bought a lavish home. And though Lizzie lived her life under a shadow of suspicion, she also lived it as a free woman. But at what price? 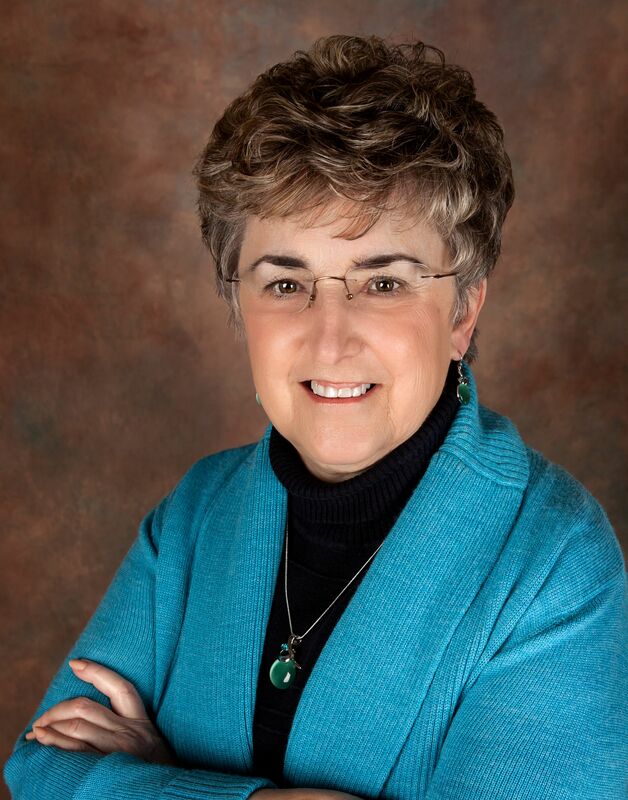 Author Bio:A Jersey girl born and bred, Rosie Genova left her heart at the shore, which serves as the setting for much of her work. 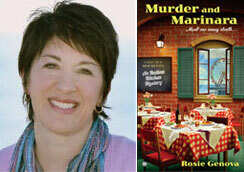 Her new series, the Italian Kitchen Mysteries, is informed by her deep appreciation for good food, her pride in her heritage, and her love of classic mysteries from Nancy Drew to Miss Marple. An English teacher by day and novelist by night, Rosie also writes women’s fiction as Rosemary DiBattista. She lives in central New Jersey with her husband, two of her three Jersey boys, and an ill-behaved fox terrier. “Clever and intriguing…..It definitely left me hungry for more.”- Livia J. Washburn, author of the Fresh Baked Mystery series. Tis the season for murder and Agatha Award winning author (for Death of a Cozy Writer) G. M. Malliet brings a new series to life with vicar Max Tudor, a former MI5 agent seeking a different kind of life. The tragic killing of his partner had left him guilty and resulted in a depression, a leave of absence, and finally resignation and the search for something more meaningful. He entered the Anglican Church after schooling at Oxford and seminary training. This backstory fuels Max’s ability to get involved in murder. In the first installment, Wicked Autumn, Max thinks he’s found the peace and quiet he desires at his post at St. Edwold’s in Nether Monkslip, until murder erupts and spoils any sense of the idyllic village Max thought he’s found. Wanda Batton-Smythe has led the Nether Monkslip’s Women’s Institute with an iron hand and a shrill voice that shuts out any contenders for her role. Browbeating the residents into performing as she wishes for the annual Harvest Fayre has only increased their general dislike of the formidable woman. When her body is found on the day of the Fayre, any sense of leaving his past behind vanishes for Max, thrust into the middle of distraught parishioners and suspecting what looks like an accident is actually a case of well-planned murder. DCI Cotton, whom Max knows from the past, quickly ropes Max into helping with the investigation. Although familiar with the petty grievances and animosities of small-town life, Max is thrown by the idea that one of the residents of his lovely English village is capable of murder; yet he is realistic enough to see that there are many villagers who might have wished for Wanda’s demise. The suspects include Lily Iverson, a timid woman who nonetheless owns a local knitting business but often bore the brunt of Wanda’s assaults. There’s the owner of the Cavalier Team Room, Elka Garth, who often felt Wanda’s pressure, especially when it came to donating her services to the Harvest Fayre; and the chef and restaurateur Guy Nicholls, who felt the same pressures. Then there’s Frank Cuthbert, the local historian an author who often clashed with Wanda over his books. And that’s just the start of the list. As the investigation heats up, readers will meet more villagers, several who will reappear in Malliet’s second book in the series, A Fatal Winter. But not before Max and Cotton team up to unmask a murderer. In Book Two, winter has come to Nether Monkslip, and finds Max struggling with his Christmas sermon, but even more with the feelings he’s developed for Awena Owen, the New Age goddess who runs a shop in town. What would his bishop have to say about such an alliance? And should he care? These are Max’s thoughts as he returns to the village after a brief London stay. A chance meeting on an early train between Max and Letitia, Lady Baynard, of nearby Chedrow Castle is soon put out of Max’s thoughts until Cotton calls him late that same night. The DCI has been at Chedrow Castle since earlier in the day, called just after the body of Lord Footrustle, Letitia’s brother Oscar, has been found murdered in his bed. Only minutes after that call on his way to the castle, a second call had notified Cotton of the finding of a second body in the garden, that of Letitia herself, at first glance of natural causes. But with assorted relatives ensconced for the holidays in an extremely poor excuse for a family a reunion as orchestrated by the fated Oscar, Cotton knows his handful of CID officers, good as they are, won’t be enough to find this wiley killer. His ace up his sleeve is his good friend Max Tudor, who will be his feet on the ground and his ears to the family. Max is called to the castle by Lamorna, Lady Baynard’s religious grand-daughter, as special advisor to the family on the double funeral to be held. Pastoral duties farmed out, Max leaves for a few days at the castle, and for an experience he’s not soon to forget. The assorted Footrustle family includes Letitcia’s Baynard side: two sons and the grand-daughter Lamorna, who had been adopted by Letitia’s dead daughter and son-in-law and left for her to raise. But Oscar’s side is well-represented, as he’d been married twice; three assorted children and one ex-wife are in attendance. This eccentric group includes the washed up actress, Lady Jocasta, Oscar’s daughter, and her American husband Simon Jones. Oscar’s ex-wife, Gwynyth Lavener, brings her teenaged children: Alec, Viscount Edenstarted, and his sister, Lady Amanda, two indulged but intelligent youths. If this sounds like too much Debrett’s for you, Malliet thoughtfully includes a family tree, which you will find yourself consulting until the character’s become firmly rooted in your mind. Basically a locked room puzzle, Max will eventually figure out who’s behind the deaths, but not before a third murder is committed, in a great twist that readers won’t see coming. Seattle-native Mary Richardson Daheim writes the Alpine mystery series, but this new-to-paperback offering is in her Bed-And-Breakfast Mysteries, featuring Judith McGonigle Flynn. Judith’s assorted friends and relatives feature in the series, and with the huge roster of players in this installment,newcomers to the series may feel overwhelmed and wish for a Cast of Characters to keep them straight. But long time readers of the series will figure out who’s who in this quick and snappy summer cozy. January is a slow time for Judith at the B&B, so she’s grateful her former-detective-turned-PI husband, Joe, has a new assignment. Unfortunately, his surveillance job ends almost as quickly as it started, with the death of an insurance fraud suspect he was supposed to be shadowing. The negatives pile up when it turns out the victim has been shot with Joe’s gun–or has he? With Joe sequestered away at the police station, Judith faces the prospect of a houseful of laborious guests, the winners of an overnight stay she donated to her parish school auction earlier in the year. It’s pay-up time, and while Judith copes with the Paine family’s various allergies and special diets, other guests come and go in seemingly unrelated one night stays. Adding to the tension is Judith’s mother, Gertrude, a persnickety gal who lives behind the B&B in a converted tool shed and manages to show up in her motorized wheelchair just in time to stamp on Judith’s last nerve. Judith’s cousin Renie is also on hand to be a hot-wire foil to Judith’s more laid back personality, and Renie’s calmer husband Bill manages to get involved as the plot thickens with overlapping and numerous threads. 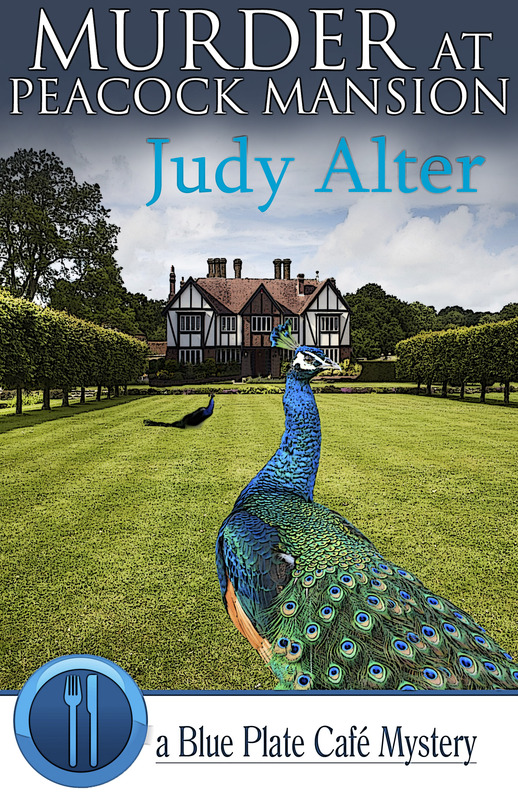 There are sick parish schoolkids, a horse lodging in her garage, and a missing house guest. In the middle of the chaos, Judith is conned into housing two villagers without heat in their own home who turn up to stay the night with their Irish Wolfhound in tow. The plot is convoluted with tons of mayhem causing distractions that may or may not be involved with the main plot. It is to Daheim’s credit that she manages to pull these threads together and keep Judith whole, although she does allow her protaginist the occasional sorely needed medicinal drink. 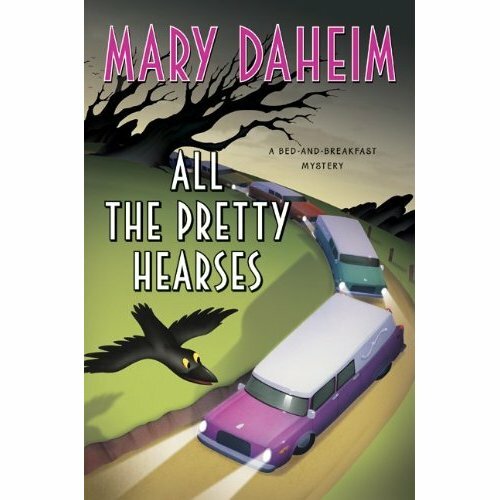 New this month in hardcover is the next in the series, The Wurst is Yet to Come; readers of the paperback of All the Pretty Hearses will be treated to an excerpt of the new hardcover at the books’ end.